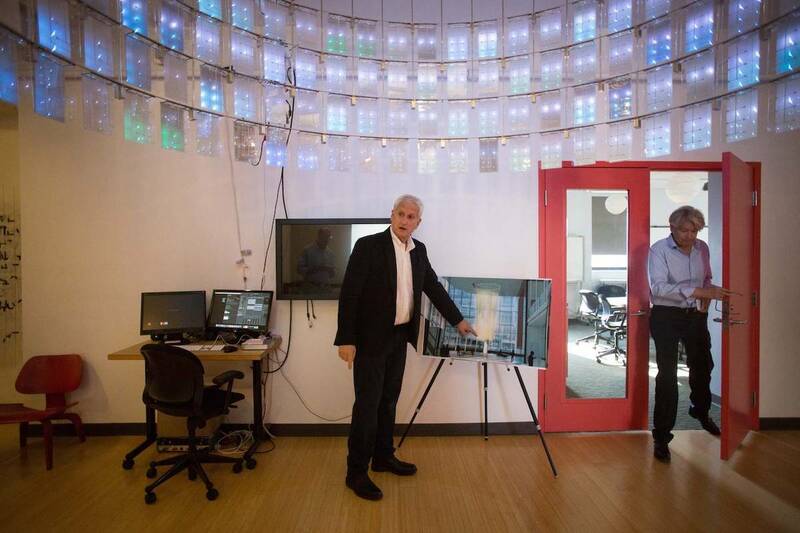 Founded by interactive pioneer Edwin Schlossberg, ESI Design is an experiential design firm that has been redefining engagement for over 35 years. From its roots transforming the Brooklyn Children’s Museum to its current work with leading institutions and brands like The Edward M. Kennedy Institute, Barclays, Reuters, and PNC Bank, ESI integrates cutting-edge technology, digital media, art, and physical design to create environments that inspire audiences to meet, network, learn, collaborate, and be entertained and delighted. 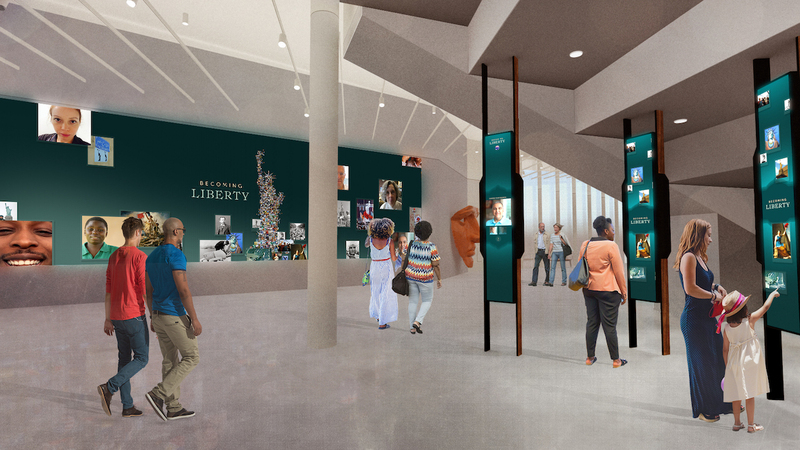 ESI Design is designing the exhibits for the new Statue of Liberty Museum, opening in May 2019. PKPR helped organize a series of preview tours for design and architecture press during the museum’s construction. Coverage has included Architectural Digest, designboom, Curbed, Culture Trip, Untapped Cities, 6sqft, and A Daily Dose of Architecture. 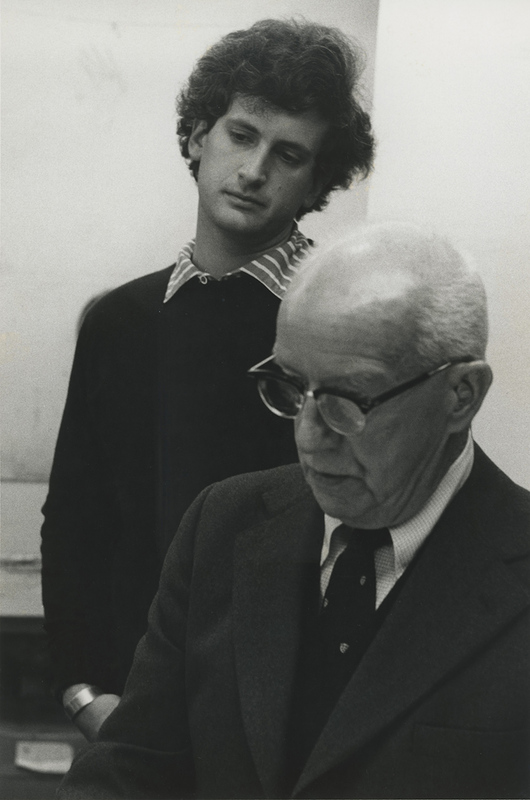 As a result of PKPR’s outreach, Metropolis Magazine published an article by ESI Design founder Edwin Schlossberg on how his collaboration with Buckminster Fuller in the late 1960s continues to shape his groundbreaking work in the field of experience design. 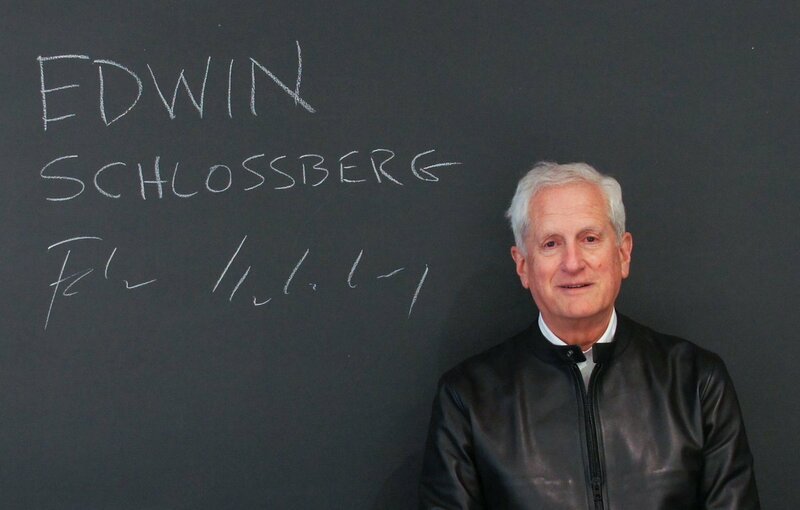 Put on your earphones and listen to this fascinating interview with ESI Design founder Edwin Schlossberg on Design Matters with Debbie Millman. Engadget, Designboom, Web Urbanist, Interesting Engineering, and Urdesign take a look at how ESI Design reimagines the traditional office lobby by using algorithms to create trippy art that is wowing workers and visitors alike. Starting with creating games for pocket calculators more than 40 years, Ed Schlossberg of ESI Design has been obsessed with developing games that large groups of people can play together in the same space. 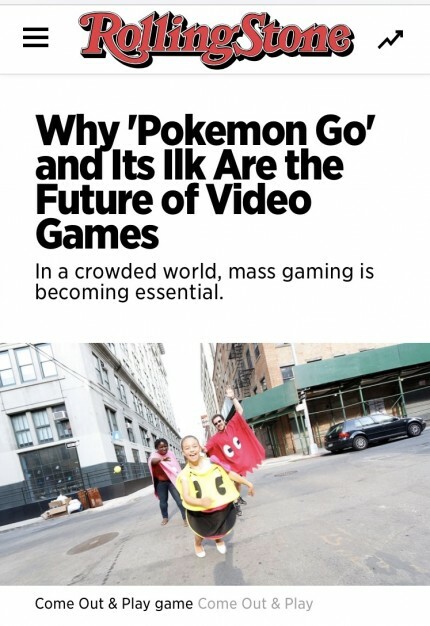 PKPR placed an op-ed by Ed in Rolling Stone discussing his lifelong passion and what it means for the future of gaming. Main Street at eBay Headquarters by ESI Design from ESI Design on Vimeo. When eBay spun off PayPal, the company wanted a new, forward-thinking approach to its brand identity. eBay engaged ESI Design to create a 20,000-square-foot central building called Main Street on its Silicon Valley campus that would serve as the company’s new front door. PKPR secured a byline on the vision behind the eBay design in Work Design Magazine (”The Workplace is the new Corporate Communications Platform”) and stories in Contract Magazine, BisNow (”How New Tech HQs are Redefining Office”), Building Design + Construction, Dexigner, and SEGD. Wells Fargo Center, Denver, by ESI Design from ESI Design on Vimeo. 3,600 birds flock in ever-changing flight patterns. 8-story-high waterfalls cascade. And 86-feet-tall trees sway—all inside the lobby of this office building in downtown Denver.It’s all part of a jaw-dropping makeover by ESI Design for the Wells Fargo Center owned by Beacon Capital. Denver’s third tallest skyscraper, the Wells Fargo Center was designed by legendary architect Philip Johnson in 1983. 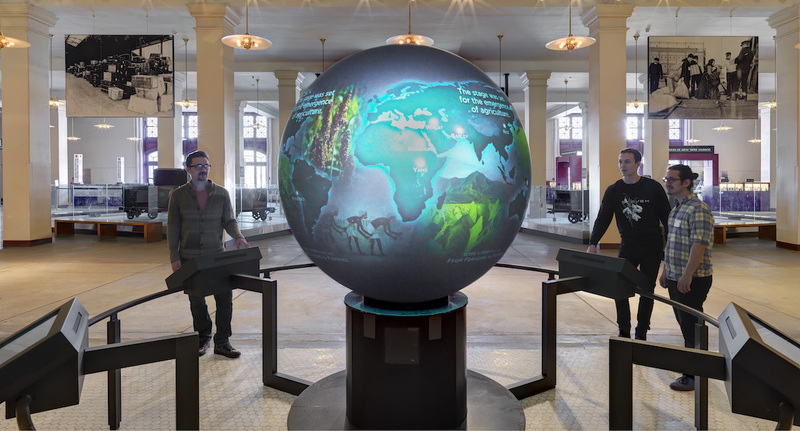 The centerpiece of the renovation is an eight-story digital installation in the building’s glass atrium, which is wowing visitors and drawing crowds to the once somber office lobby. Coverage highlights include Slate, The Denver Post, Colorado Public Radio, PSFK, New Atlas, SEEKER, Confluence Denver, Building Design + Construction, INSIDER Design, and Colorado Real Estate Journal. An office lobby in Washington, DC is going viral thanks to news coverage from around the world that PKPR secured for ESI Design. A dazzling, 1700-square-foot, motion-activated mural in the lobby of Terrell Place has been covered in outlets from Slate and Architzer to DCist and Washingtonian and in countries as far-flung as Israel and Russia.. A video of the installation by Tech Insider has been viewed over 1 million times to date. ESI’s own video of the installation has been viewed over 40,000 times to date, making it by ESI’s most watched video of all time. For Earth Day 2016, MSNBC profiled ESI Design’s work on The Beacon at The Tower at PNC Plaza in Pittsburgh, considered the greenest office building in the world. The greenest office tower in the world, The Tower at PNC Plaza, opened in Pittsburgh, PA earlier this month, One of its most groundbreaking innovations is how it engages with employees to communicate the invisible things that the building is doing behind the scenes to conserve energy and water – and the role that employees can play in maximizing the building’s efficiency. 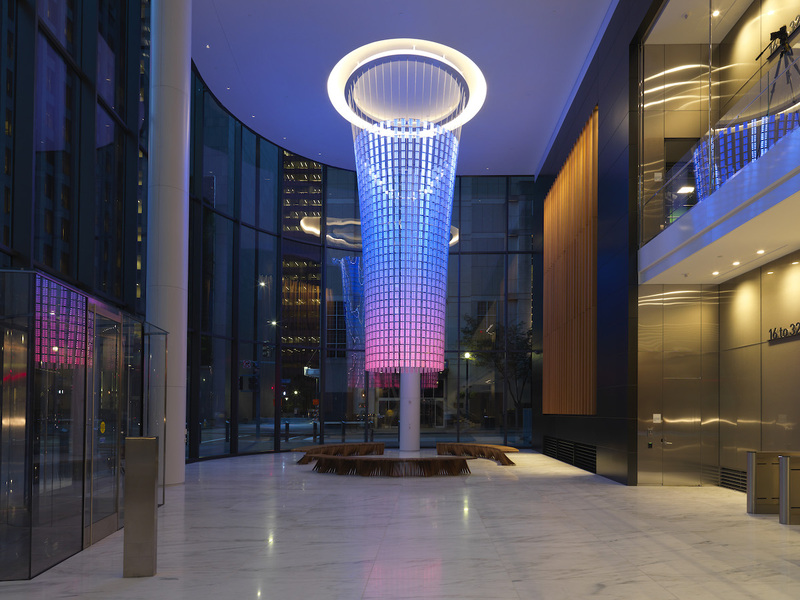 The communication is all done through a soaring, 24-foot-high installation in the Tower’s lobby that uses real-time data from the building to reveal how the building is performing through light, color, and sound patterns. It’s been hailed as a “dazzling, data-driven showstopper” by MNN (Mother Nature Network) and received coverage in outlets from Slate to Architect Magazine. Engadget goes behind-the-scenes with the ESI Design team for a video tour of the design and technology behind the exhibits at the new Ellis Island National Museum of Immigration opening on May 20th. 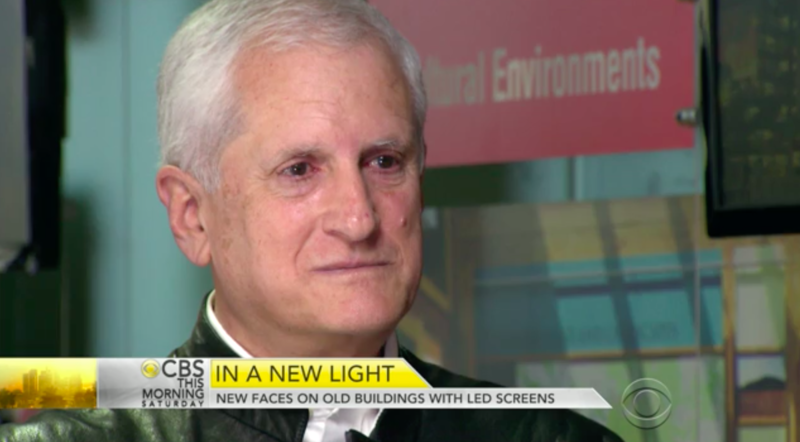 CBS This Morning aired a fantastic profile on ESI Design that’s been over two months in the works. 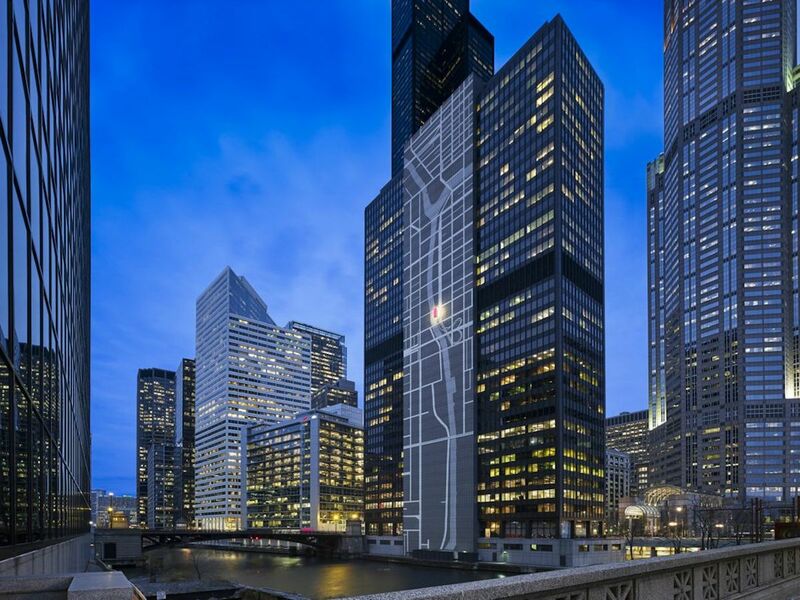 For a look at how ESI Design is at the forefront of using LEDs to transform formerly overlooked office buildings, correspondent David Begnaud visited the ESI offices in NYC for interviews and tours, as well as two of its projects in Chicago. The result is a definitive look at how ESI Design is setting the benchmark for experience design. President Obama officially opened the Edward M. Kennedy Institute in Boston last week. 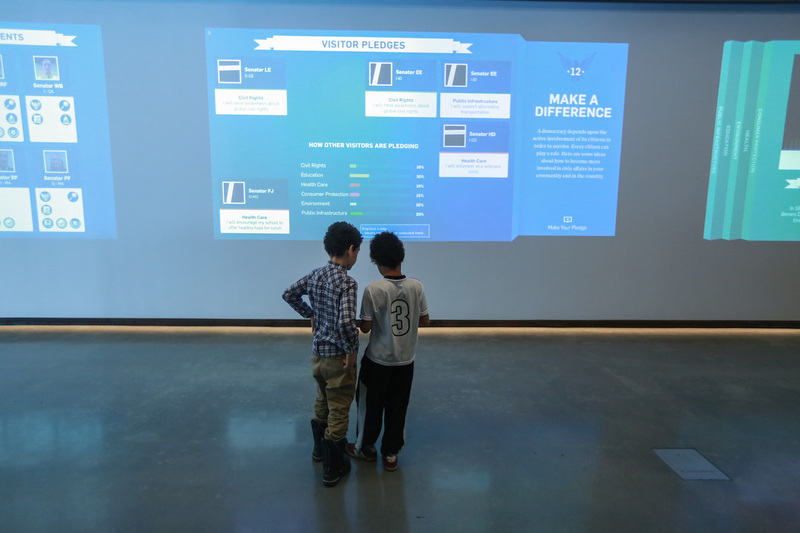 PKPR client ESI Design created the Institute’s interactive exhibits and visitor experience, which includes a program that allows up to 100 people to “play” Senators-in-Training in a full-scale recreation of the U.S. Senate Chamber. The firm’s innovative work won praise from influential design outlets and columnists including Fast Company (”In This Museum, You Don’t Learn About Senators. You Are a Senator”), Quartz (”Ted Kennedy’s Institute Lets Visitors Play Senator For A Day”), and Slate (”Kennedy Institute Combines Cutting-Edge Tech With A Full-Scale Senate Replica”). 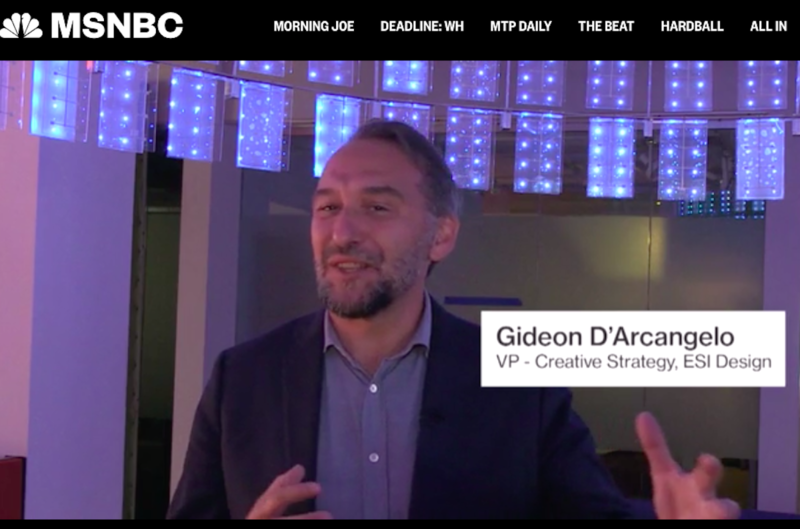 Slate’s design Kristin Hohenadel today took a big picture look at how ESI Design is re-imagining old office buildings for the 21st century using massive light-art installations, digital media experiences, interactive technology, and more. 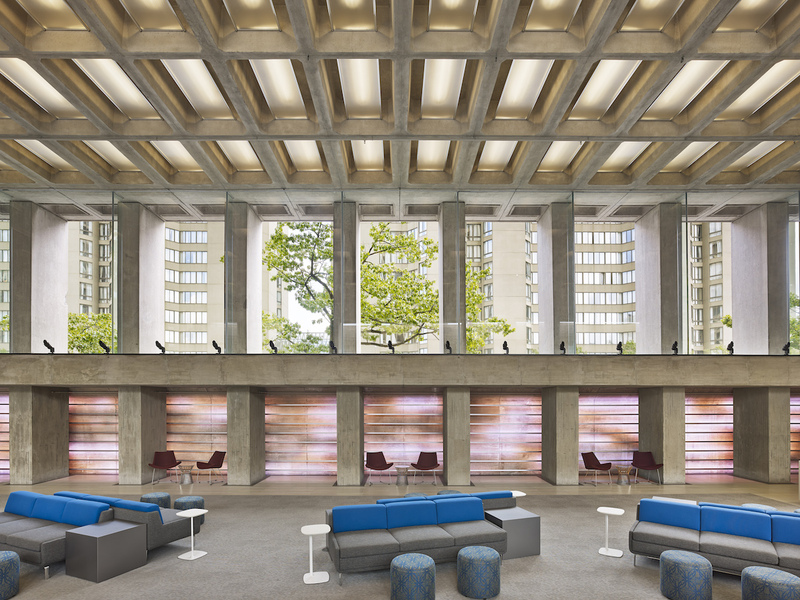 How do you transform a Brutalist mass of concrete into a vibrant property that appeals to Boston’s growing tech industry? Architectural Digest take a look ESI Design’s makeover for the lobby of I.M. Pei‘s iconic 177 Huntington tower on the Christian Science Plaza in Boston.